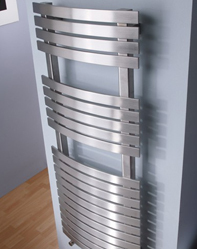 There is a large choice of radiator styles. It doesn't matter which type you choose providing the heat output of the radiator(s) meets the needs of the room. 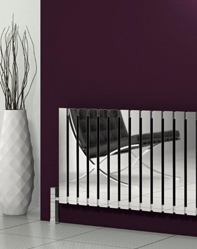 Before choosing your radiators you must determine how much heat each room requires. Your London Gas engineer will do this when quoting. The best calculations take every measurement of every room and especially the window sizes and outside wall sizes. Too big and the system will overshoot its temperature and be less economical to run, too small and it won't reach its desired temperature. The best place for every radiator is in the coldest part of the room, which is usually under a window. Radiators do not burn gas, therefore turning radiators off will not save money. In fact it will probably put your fuel cost up as this creates cold drafts in the house. Make sure that the Central Heating is in the off position. If you have got damage to the radiators, then often the first sign is when a radiator leaks. Cold spots or constantly having to bleed the radiators. If youâ€™ve bled the radiators and the water is black then you have a slight problem, but if the water is brown or orange then you have a major problem. This needs sorting out properly call London Gas who will be able to help.